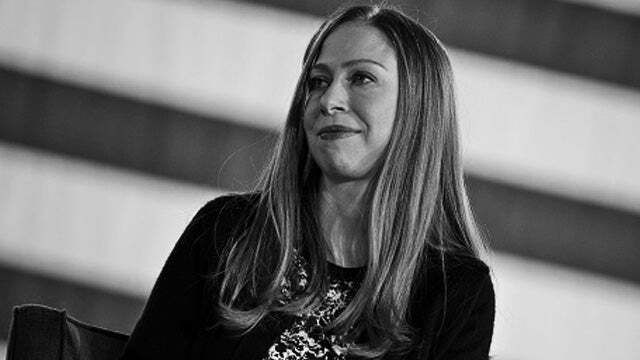 RUSH: Nobody is coming to the defense of Chelsea Clinton! Chelsea Clinton went out there and tweeted something about anti-Semitism and so forth, and a bunch of people just launched at her and blamed her, in part, for what happened in New Zealand. And the only person to come to her defense so far has been Donald Trump Jr.! Not the Washington Post. Not the New York Times. Not USA Today. Chelsea Clinton is dangling and hanging out there all alone. And the usual partnerships that have existed between the Democrat Party and the media have not presented themselves. She’s just twisting in the wind out there. Not one person other than Donald Trump Jr. has defended her from this insane charge that something she tweeted was either very grossly insensitive or may have even had something to do with the event in New Zealand. RUSH: One more thing here on this Chelsea Clinton business. As you know, what exactly did she do? I didn’t print the story out of what she did. I’ve got all the reaction stuff. I guess she went to a memorial meeting for the New Zealand shooting, and her presence there was considered insulting because she had previously tweeted her opposition to Ilhan Omar and her anti-Semitic tweets. And so when Chelsea shows up, the leftist mob went nuts. Now, the thing that you have to remember here is that Chelsea married a Jewish man and has a couple of kids. Now, this doesn’t get reported in any of this, but do not doubt for a moment that people involved here know this. So in a move that I am certain has stunned the Clintons, BuzzFeed has given anti-Israel activists who harassed Chelsea a guest column. “Buzzfeed News gave the two anti-Israel activists who confronted Chelsea Clinton at a NYC memorial for victims of a horrific mass shooting at a mosque in New Zealand, the opportunity to write a ‘guest column’ on their site, and the two women took it as an opportunity to double-down, smearing and attacking Clinton even further. So they’re blaming Chelsea for having been an influencer in the mosque shooting. Now, here again, something that has become standard operating procedure. A horrific shooting like this happens and the left, including the media, immediately seeks to blame their political enemies for it rather than the perp! Or to then link the perp to their political enemies. It’s silly and it’s getting tiresome, but they work overtime to pull this off, and they never stop doing it. You know, a good analogy. The left lives on the battlefield. Life to the left is the battlefield. To us it’s not. We don’t want to be on the battlefield every day. That’s not how we look at life. But they do! Life is the battlefield. Life is a daily battle in an ongoing war, and every skirmish must be won. And since they cannot win with prevailing ideas, they cannot win with superior ideas, they have to go out and destroy the credibility and the humanity of their opponents. And that is precisely what happens, and it’s that that many on our side have no idea how to combat or how to respond to, how to battle it. It’s even made more frustrating by the fact that — look at the Covington kids. So this kid shows up, he’s got a Make America Great Again hat on, we know what happened because of this. A total mischaracterization, an attempt to destroy this kid and his school and his friends that were all there in a story that was originally reported as wrong, as incorrectly as it could be. But what’s the impact of that? The impact of that is that everybody else puts their Make America Great Again caps away ’cause they don’t want the hassle. How many of you have purchased a book by a well-known conservative writer, and you get on an airplane and you don’t want people to see you reading it? You’re afraid of what will happen. So you buy the book, but you don’t bring it out in public and read it because you are afraid of being assaulted, attacked, insulted, or what have you. So you take the path of least resistance and hide the fact that you support a particular conservative author or you put away your Make America Great Again hat. This does two things. A, it creates the impression that there aren’t many people that support Trump or that there aren’t very many people that are conservative, and it gives the left the idea that they can totally steamroll any opposition into silence and invisibility. And then they got shocked on Election Day when the people who are afraid to tell pollsters what they think, afraid to wear a Make America Great Again hat, afraid to display a book written by a prominent conservative author, they show up and vote, and the left loses, and they can’t figure it out because they get the idea they’re steamrollering everybody. There’s also a third aspect of this. Many of the people hiding their Make America Great Again hats and many of the people who are not pulling out the book by a famous conservative on an airplane, in many cases those are the same people complaining about how the Republicans never fight back. And if you confront them on, “Well, we’re not supposed to fight back. We elect the Republicans to fight back on our behalf.” Right. I understand that. But, anyway, this is an indication of how intimidatingly successful the left is, has been, and is in stifling any public opposition to them. And they do it by categorizing people. This white nationalist thing, this is just a replay of the same technique they used in the aftermath of the Indiana Religious Freedom Restoration Act and any other public event — in that case it was gay marriage and gay this and gay that and trans this and trans that. In this case it’s Islamophobia. But it’s the same technique, it’s the same formula that is replayed event after event after event, and after each of these events, people that had nothing to do with it, people that weren’t even in New Zealand, end up being categorized as white nationalists. And, by the way, that doesn’t even mean what it means. White nationalist means white supremacist. White nationalist is code word for modern day KKK. And what it really means when they start throwing around the term “white nationalist,” I’ll tell you what it really means, what they’re really saying is that white people are trying to get rid of all opposition. They founded this country and they’re gonna try to hold on to this country, but they’re the ones that have ruined this country, white people. So all this white privilege, white nationalism, and then you notice the allegations and accusations made if you don’t condemn this thing that happened in New Zealand properly. If you don’t say exactly what you’re supposed to say the way they demand you say it, then all of a sudden you become a member of this white nationalist group. Which means white supremacy. Which means KKK. Which means you hate minorities. Which means you are rotten to the core. That’s the impression they’re trying to create of everybody who does not say and does not think exactly as they do. And this has been highly successful as an intimidating thing. And that’s why people hide their Make America Great Again hats or their books or whatever that would identify them as conservatives, ’cause nobody gets on an airplane to be in a war. Nobody gets on an airplane to be in a battle. The left does. The left goes everywhere. Life is the battle. Life is the battlefield. And it is with Trump. Trump happily joins ’em on the field of battle and happily responds to ’em every day, day in and day out. And, as such, do you know that Donald Trump is the most popular Republican president in any of our lifetimes and memories? Donald Trump’s approval numbers in the Republican Party are over 90%. There isn’t a Republican who has come close to this. More and more people are now in polling data suggesting that Mueller’s investigation is a witch hunt, that its overwrought. That number’s over 50% now. That’s just out, by the way. The reason Donald Trump gets these popularity numbers is precisely because he does not take even an idle sentence of accusation, false accusation or allegation and let it go. He responds to every one of them with his tweets or however he does so. And you see how it drives them crazy. They are used to people laying down. They’re used to people cowering in fear in the corners. They’re used to people taking their MAGA hats off. They’re used to people hiding their books. They’re used to people whispering, “Hey, I really support Trump, but I can’t say so in public, I just can’t.” Okay. I understand. But when thinking about this Chelsea Clinton business, I mean, this is big. Here is the chosen prodigy of the Clintons, I mean, the future of the Clinton dynasty, and the Washington Post, the New York Times, none of the Drive-By Media are defending her in this instance where she is being accused of having culpability and responsibility for the New Zealand mosque shooting. Only Donald Trump Jr. comes to her defense. Don’t forget, folks — they can say it’s about her Ilhan Omar tweet where she blamed Omar for anti-Semitism, but they know that her husband is Jewish and that she’s got a couple of kids who may be raised Jewish. Do not take that out of the equation. That’s the same thing with Jared and Ivanka.